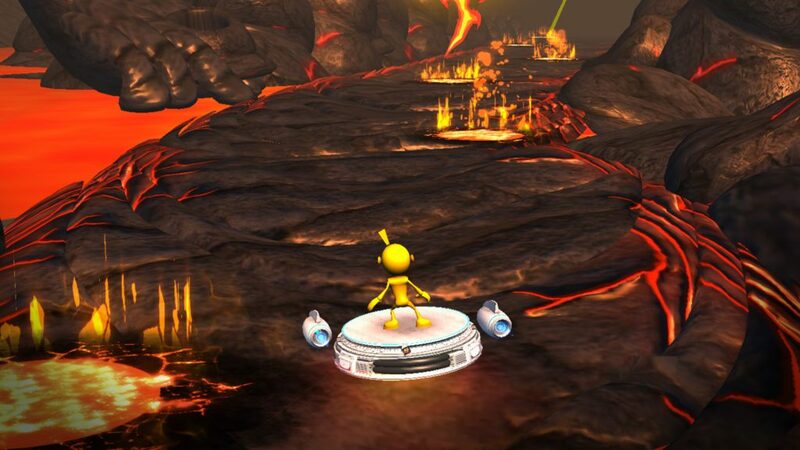 A screenshot from Akili’s video game, designed to treat ADHD. BOSTON, Mass – December 4, 2017 – Akili Interactive (“Akili” or “Company”), an affiliate of PureTech Health (PRTC.L), today announced top-line results from the Company’s STARS-ADHD pivotal study of its lead investigational digital medicine, AKL-T01, in pediatric attention-deficit/hyperactivity disorder (ADHD). In a randomized, controlled trial of 348 children and adolescents diagnosed with ADHD, AKL-T01 showed a statistically significant improvement compared to an active control (p=0.006) on the predefined primary endpoint, a change in the Attention Performance Index (API), a composite score from the Test of Variables of Attention (T.O.V.A.®). The T.O.V.A.® is an objective measure of sustained attention and inhibitory control. AKL-T01 was shown to be safe in this study, with no serious adverse events observed. Subjective secondary outcome measures showed statistically significant positive improvements in both the treatment and active control groups, though there was not a statistically significant separation on those measures between groups. Full analysis is underway and results of the study will be presented at an upcoming scientific conference and will be submitted for publication in a peer-reviewed journal. Based on the results of the study, Akili plans to file AKL-T01 with the U.S. Food and Drug Administration (FDA) for clearance as a novel treatment for children and adolescents with ADHD. AKL-T01, Akili’s ADHD treatment in development, is a first-of-its-kind prescription digital medicine being evaluated as a potential treatment for ADHD. Engineered as a therapeutically active treatment for cognitive deficiency in pediatric patients affected by ADHD, AKL-T01 is built on Akili’s proprietary, patented Project: EVO™ technology platform that enables selective targeting and activation of specific cognitive neural systems in the brain that exhibit deficiencies from various medical conditions. AKL-T01 uses adaptive algorithms to deliver the presentation of stimuli that engage targeted neural systems in the prefrontal cortex, the front part of the brain known to play a key role in cognitive control and known to be deficient in ADHD. In a closed-loop system, the adaptive algorithms automatically adjust the level – or dose – for a personalized treatment experience that is tailored to the needs of each individual patient. Rather than being administered through a pill, AKL-T01 is delivered through a creative and immersive action video game experience. The treatment looks and feels like a high-end video game, leveraging art, music, storytelling, and reward cycles to keep patients engaged and immersed for the delivery of therapeutic activity with excellent compliance. The science behind AKL-T01 was developed at the University of California, San Francisco by Adam Gazzaley, M.D., Ph.D., Founding Director of the University of California San Francisco’s Neuroscape and Akili’s Chief Science Advisor. This press release contains statements that are or may be forward-looking statements, including statements that relate to the company’s future prospects, developments and strategies. The forward-looking statements are based on current expectations and are subject to known and unknown risks and uncertainties that could cause actual results, performance and achievements to differ materially from current expectations, including, but not limited to, those risks and uncertainties described in the risk factors included in the regulatory filings for PureTech Health plc. These statements are not guarantees of future performance and undue reliance should not be placed on them. These forward-looking statements are based on assumptions regarding the present and future business strategies of the company and the environment in which it will operate in the future. Each forward-looking statement speaks only as at the date of this press release. Except as required by law and regulatory requirements, neither the company nor any other party intends to, and expressly disclaims any obligation to, update or revise these forward-looking statements, whether as a result of new information, future events or otherwise.